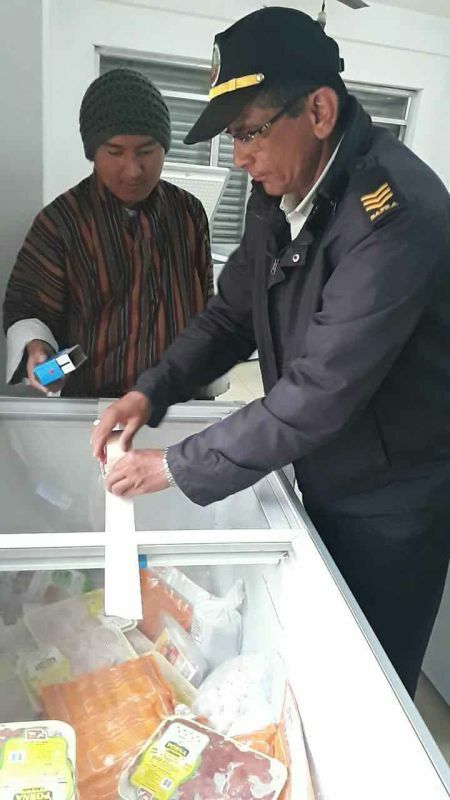 The officials of Bhutan Agriculture and Food Regulatory Authority in Thimphu inspected meat shops in Thimphu yesterday in preparation for the month long ban on the sale of meat that came into effect today. Except for frozen meat, which the meat shops are permitted to store until the ban is over, BAFRA officials made sure the meat shops do not have any other meat in stock. The sale of meat is banned in the country every year during the 1st month of the Bhutanese calendar, the auspicious month of Chhothruel Dawa and 4th month of Saga Dawa. “We will conduct inspections at various checkpoints across the country to monitor illegal import and sale. Defaulters will be fined,” said Sonam Choki, a senior regulatory and quarantine inspector with Thimphu BAFRA. According to BAFRA inspectors, compared to last year, most of the meat shops in Thimphu were able to sell all their stock before the ban this year. There are some 58 meat shops in Thimphu.